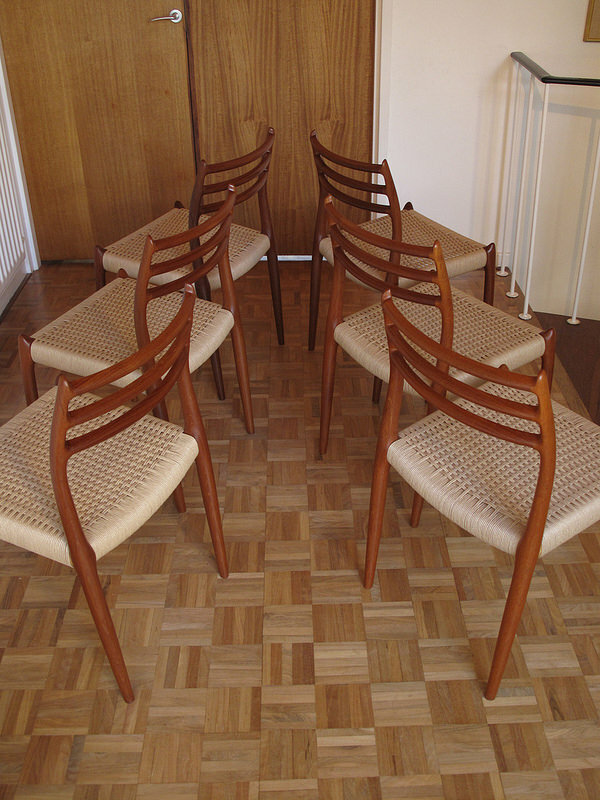 Purchased from the original owner who had bought them in the early 60’s this is an extremely nice set of early production chairs. 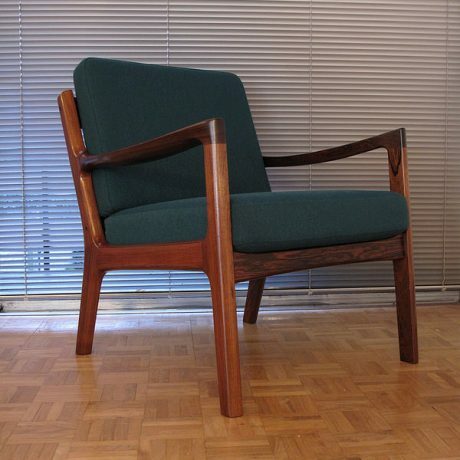 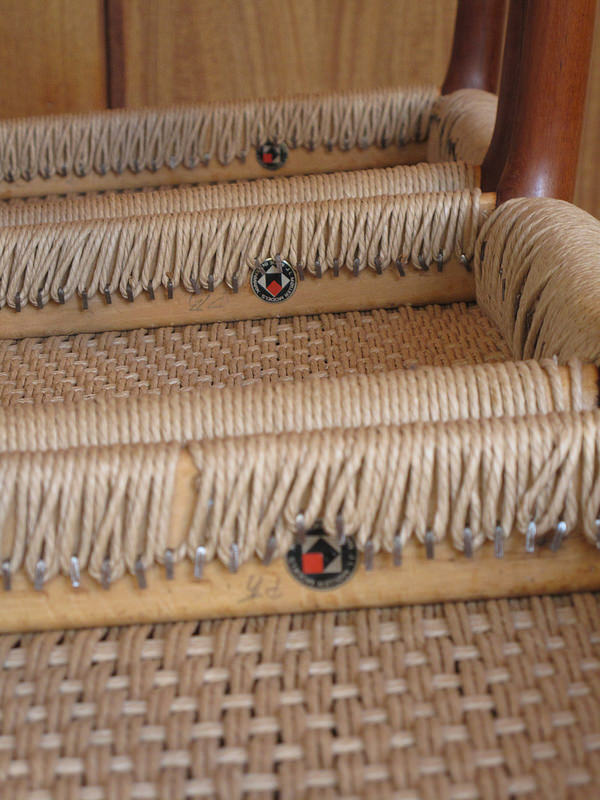 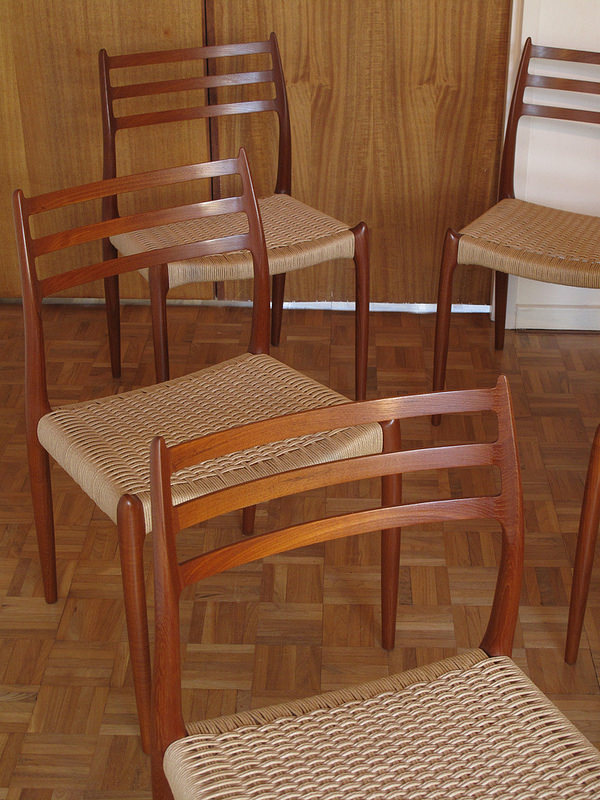 Produced from Bangkok Teak each chair has a newly woven papercord seat and is offered in excellent condition. 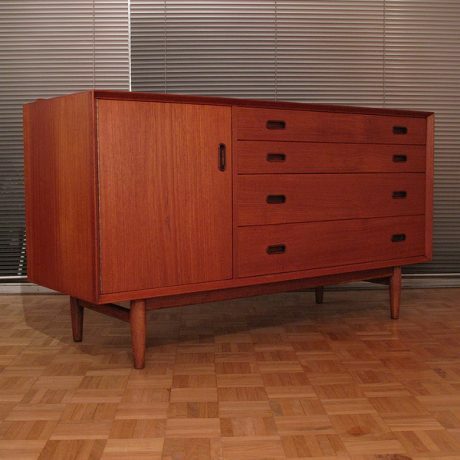 In recent years the Model 78 has rightly earned its reputation as a Danish design classic and it is very easy to see why. 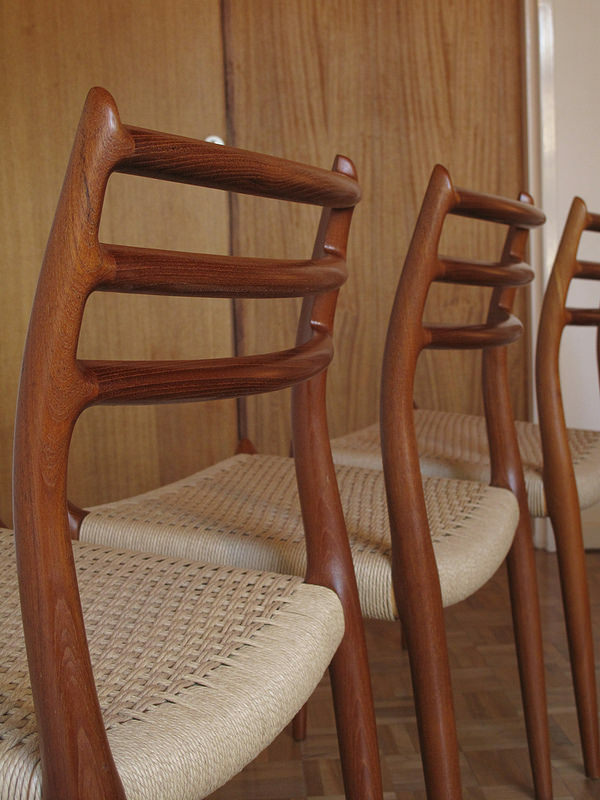 The effortless elegance and simplicity to the design belies the craftsmanship at the very top of its game. 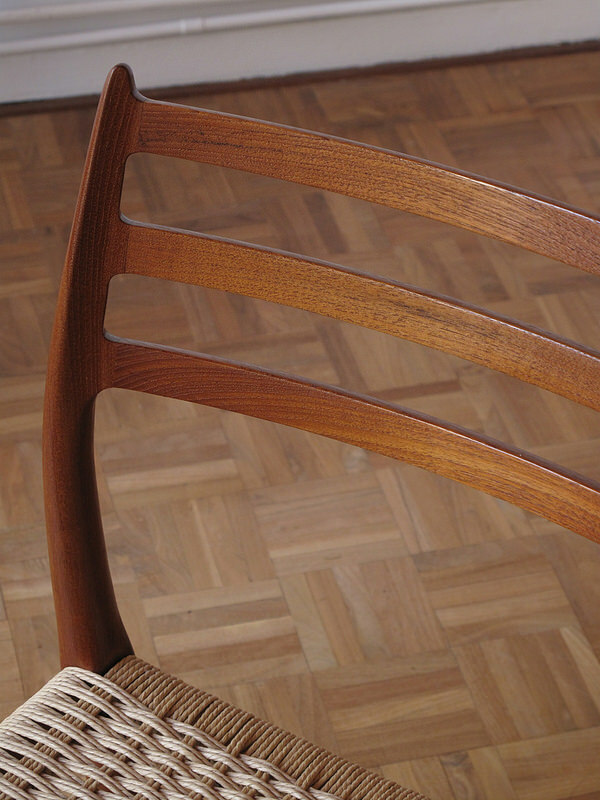 Moller spent years working and refining each of his designs and the model 78 is considered his greatest achievement. 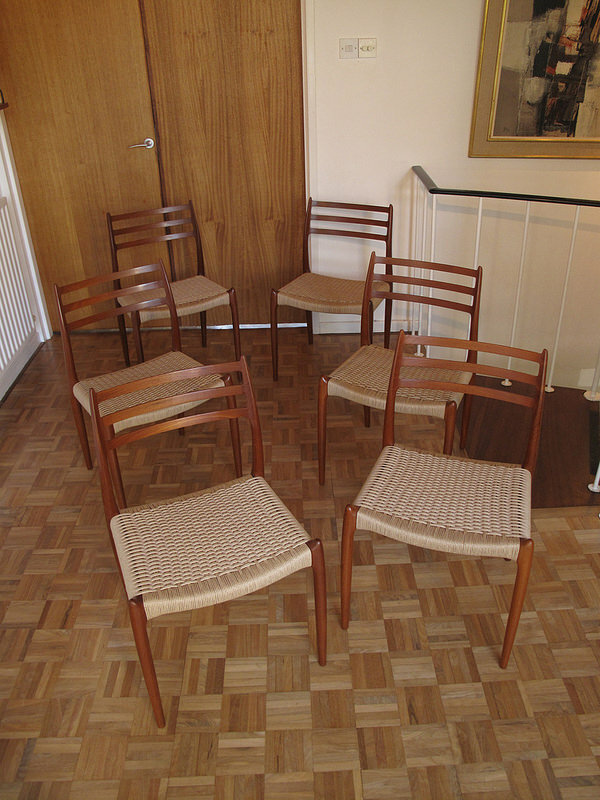 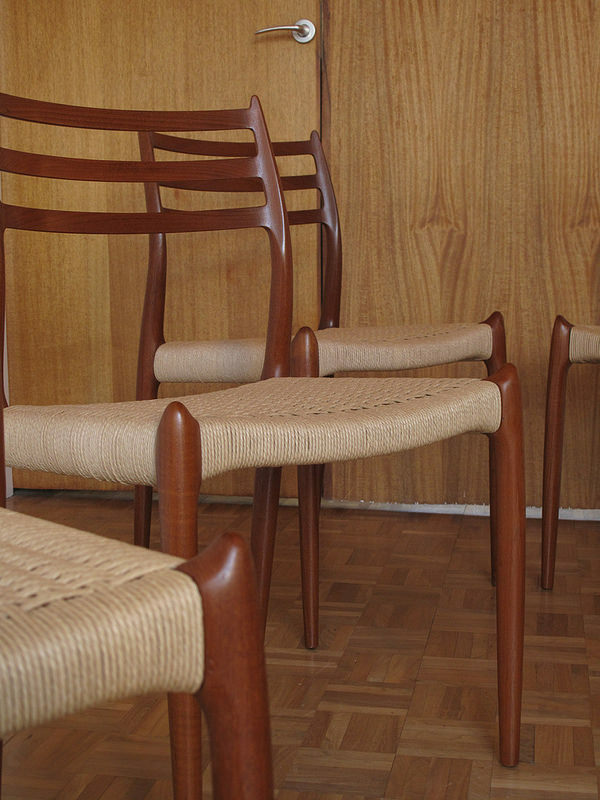 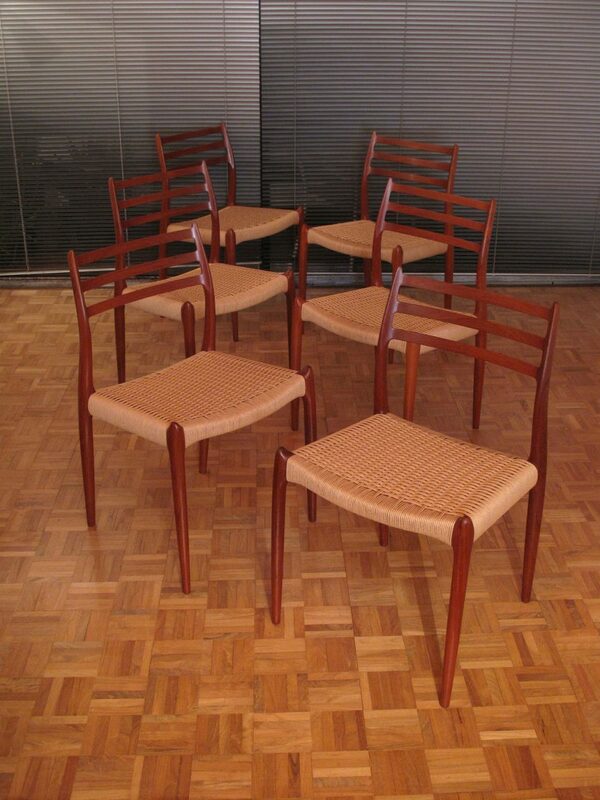 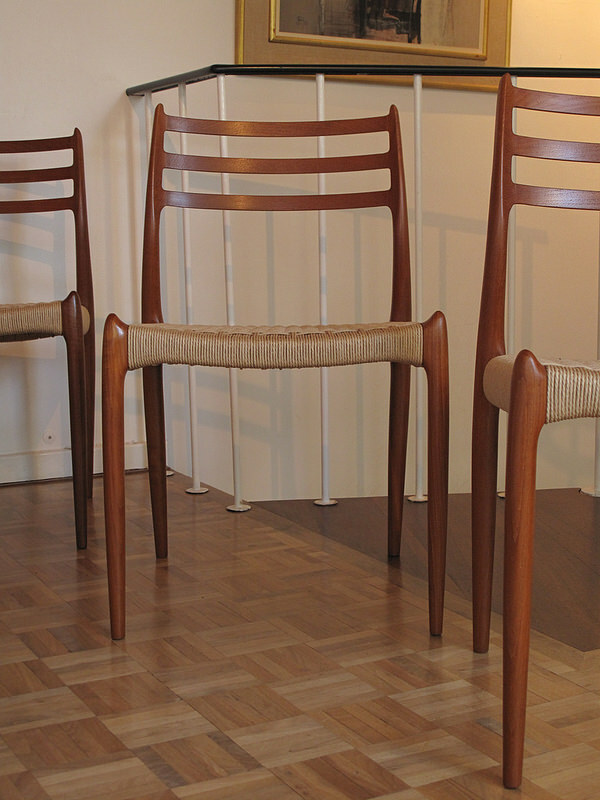 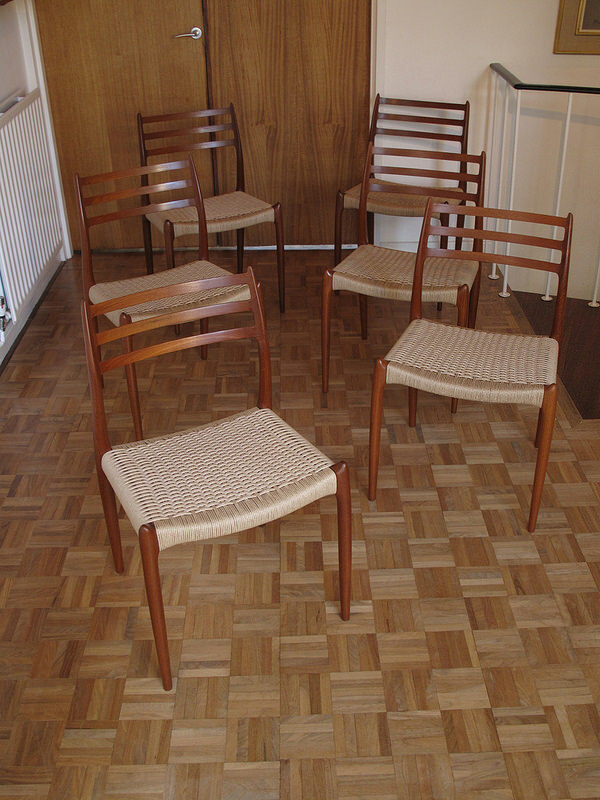 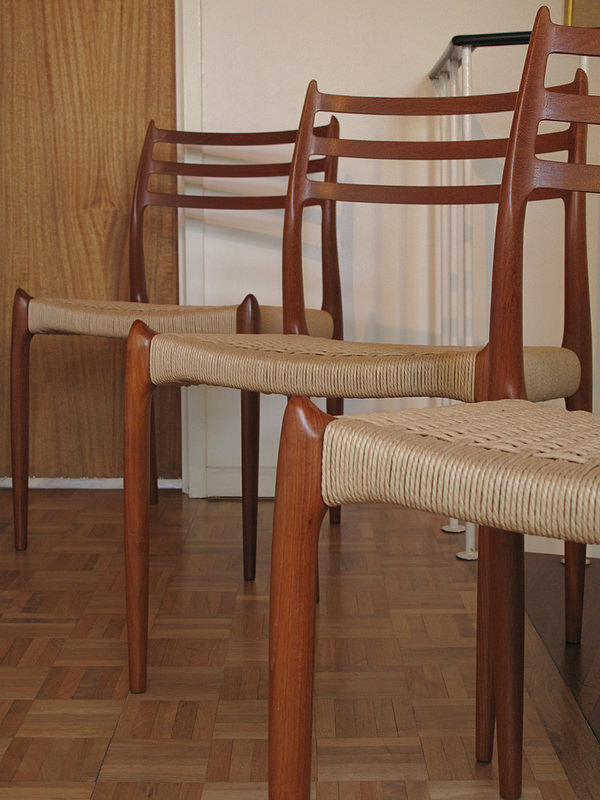 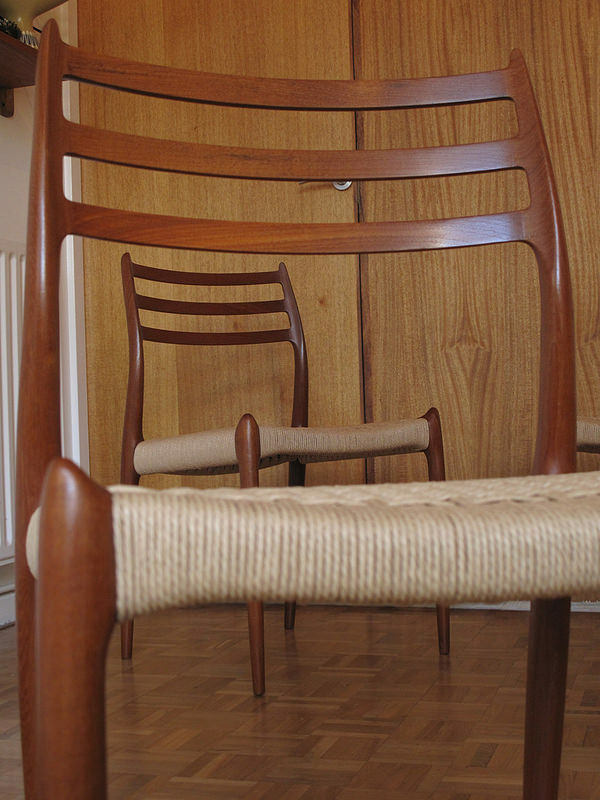 We also have a set of four Teak chairs with wool cord upholstery available in a separate listing. 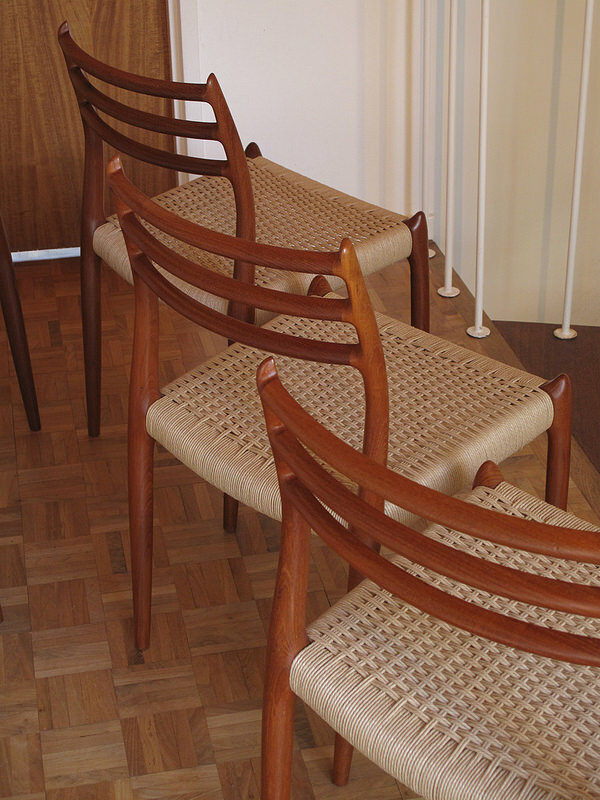 Free delivery offered to London clients. 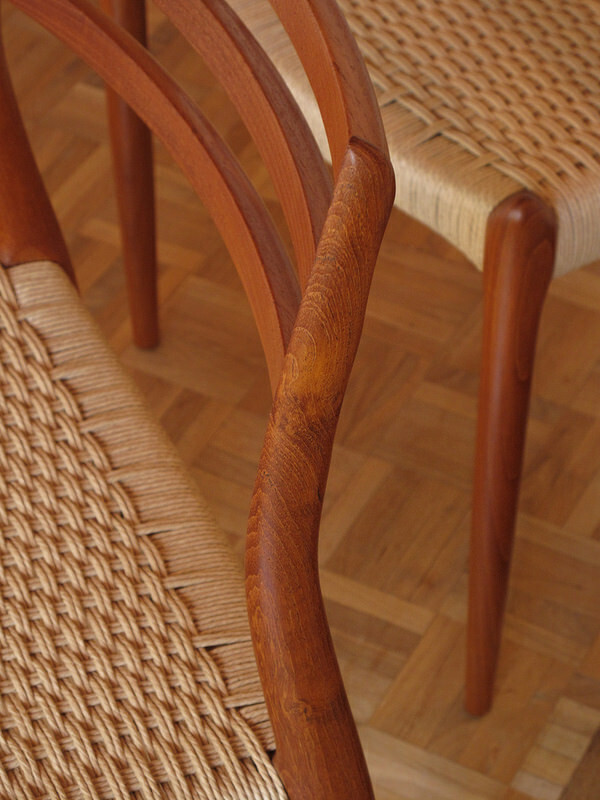 Delivery to Europe can easily be arranged with our trusted couriers.